I’ve touched (and retouched!) 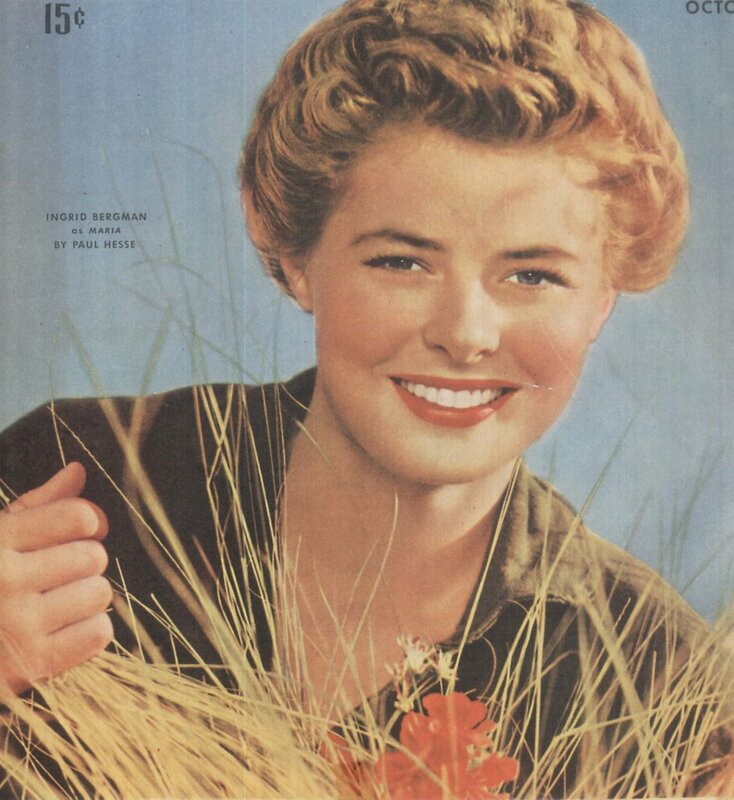 on Ingrid Bergman before, and it was inevitable, I suppose, that she’d make a Glamour Starter eventually, but here’s a question I’d not considered until this moment --- Is Ingrid our tallest G.S. so far? I’m informed she was five foot nine. Now my mind races back to that dance floor in Casablanca, and the fact she and Bogart engaged in such a restricted box-step suddenly makes clearer sense to me. Can this account for his distance on the set? I’ll save that debate for another post, for today’s concern is an actress who surely achieved heights and depths undreamt of by such puny specimen as we now call celebrities. Furors and worldwide scandals are things best understood when we ourselves experience them. Those passed down by history seem remote and even unlikely. So Ingrid Bergman ran off with an Italian film director and had an illegitimate child by him. Why so much excitement over that? Granted the cultural landscape was different five-six decades ago, but to denounce a movie actress on the floor of the Senate? Did such a thing happen before or since? Trying to imagine what got so many people in such an uproar brought me to one conclusion --- they felt betrayed. Those who’d invested emotion in a saintly image for ten years had for all impression been played for fools. Never mind she was just an actress and owed them no such fealty in her private life, the woman had been Joan Of Arc, for heaven's sake. Were we easier hoodwinked back then, or does cynicism offer us a protective shell now? 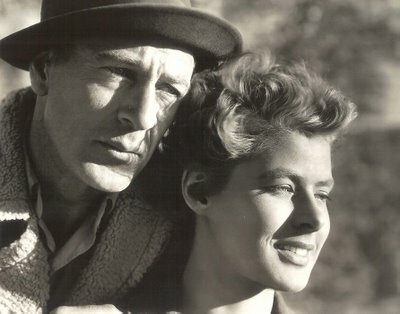 No pre-49 Ingrid Bergman could survive long in our present culture, though plenty of post-49 Bergmans thrive. 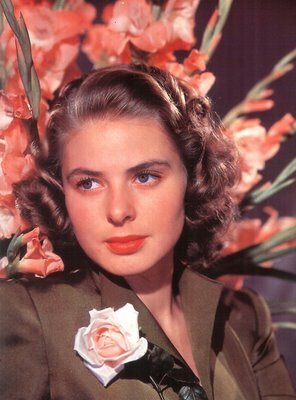 Perhaps we’re better off for the more open discourse we enjoy with our celebrities (whether they like it or not), but each and all who bask in the people’s warm embrace should heed the warning of Ingrid Bergman and know that a public’s kiss one day may become its slap the next. Bergman was a major name back home in Sweden, but what’s that? Their movies were like all the rest in Europe, auditions from which moneyed Hollywood interests could pick and choose the best and most promising. The nine films on home soil included a rough draft of Intermezzo, and it’s plain enough how she attracted the attention of Selznick talent scouts. Whatever concept we had of a fresh, unspoiled Swedish girl, she was it in the unblemished flesh. German interests came calling when UFA signed her to a pair of starring vehicles in 1938, but that contract was abrogated after the first was completed. Publicity dubbing her a Daughter of Germany might well have boomeranged on US ambitions, were it not for good will she’d quickly accumulate on our shores, and the fact her UFA association was one virtually unknown to stateside media. 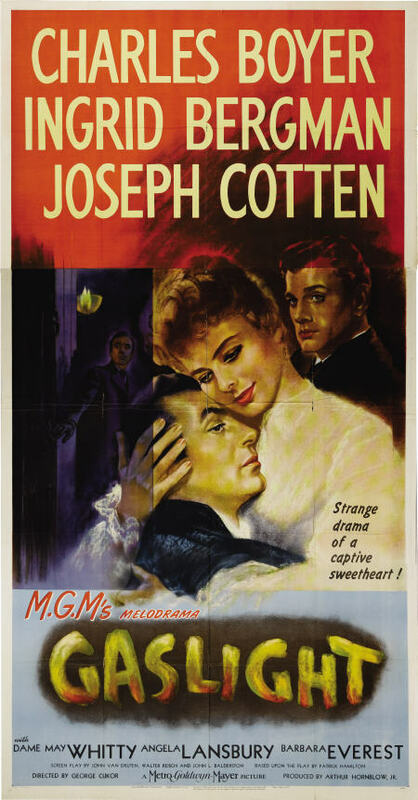 The $2,500 a week starting wage at Selznick acknowledged her Euro status, and the American Intermezzo was a near-photostat of the Swedish original. 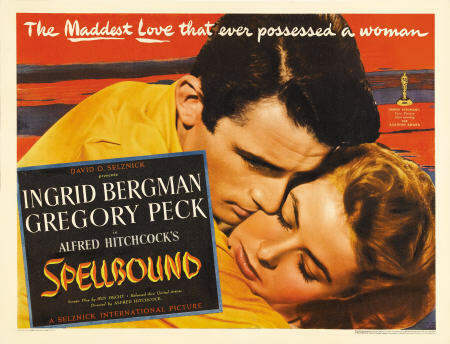 Selznick’s idea was to sell us something new in a movie actress --- none of phony make-up (translation: less of it than customary), eyebrows left intact, and a stated determination to preserve her natural qualities (that word was beaten like a drum to describe Bergman). She was the real-life rescue of Esther Blodgett from that cosmetic torture chamber D.O.S. depicted so vividly in A Star Is Born, and it paid off with immediate critical and public acclaim. Glamour was an unwelcome distraction from her kind of talent, and Selznick didn’t want it spoiled in a photographer’s hothouse of swimsuits and bear rugs. 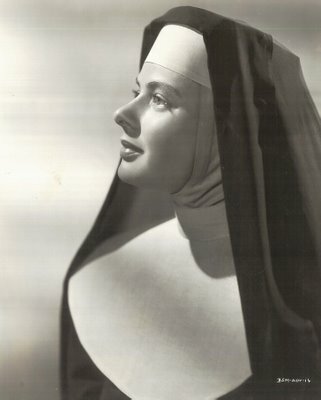 This is where a pristine image got its start, but casting would not be so easy as her overnight popularity would suggest. There was a husband, acquired in the old country, with ideas of representing her in business matters. Petter Lindstrom didn’t trust anyone in Hollywood, least of all Selznick, but his dogged negotiations did at least have the immediate benefit of getting his wife more money than most newcomers to the US could have wangled out of that tight-fisted town. Selznick wisely gave her latitude in developing stagecraft. 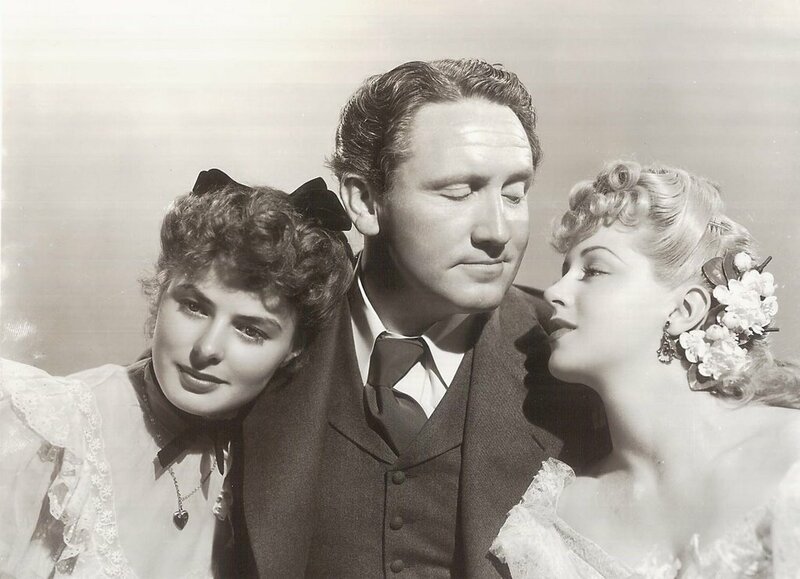 There was an LA production of Liliom and a travelling Anna Christie. Both merely increased her prestige, as the vast majority of movie lights would have been dimmed by legit exposure. Movies were a matter of Selznick loans at considerable profit to him. 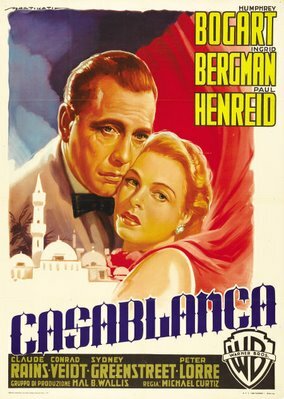 The $125,000 he got for her services in Casablanca translated to $35,000 for Bergman, plus a show she had little interest in making. The one she wanted was For Whom The Bell Tolls, itself the very definition of prestige filmmaking in literary-conscious Hollywood. Her campaign for that lead was relentless, as was Selznick’s, but Paramount was stubbornly committed to its own Vera Zorina. 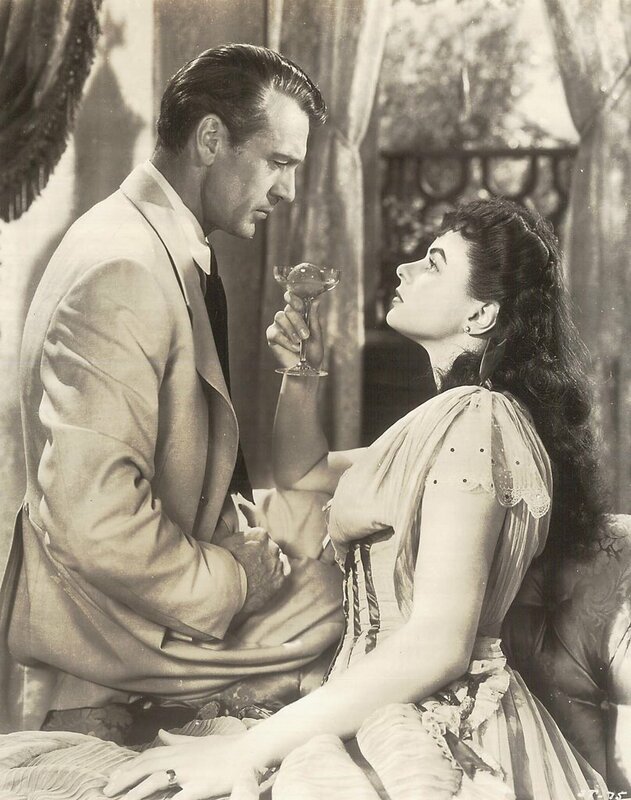 As an actress, she was a great ballet dancer, as star Gary Cooper and director Sam Wood discovered after a few unproductive weeks on location. Now Paramount was ready to do business with Selznick for Bergman. Getting the call on a Casablanca soundstage, Bergman let out a whoop. Had she but known history’s ultimate verdict on these two. For Whom The Bell Tolls would sink beneath the weight of its tedium and over-length, while Casablanca would follow Bergman like grim death as the perhaps sole one everybody asked about. 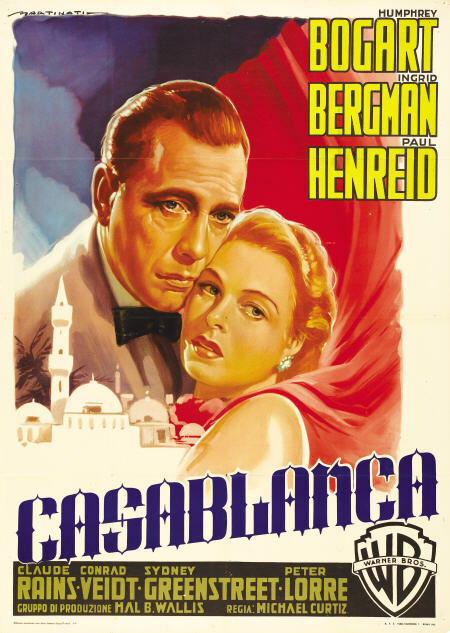 Her love/hate relationship with Casablanca points up the irony of lives spent on celluloid. You do fifty, or even a hundred, and in the end, they all remember you for a single performance. For Janet Leigh, it was Psycho. For Ingrid Bergman, Casablanca. Both must have grown sick of those broken records. Against the drug- fueled industry we’ve observed over the past four decades, the idea of an actress imperiling her career with overdoses of cookies and ice cream seems quaint, if not refreshing. Bergman’s big appetites (she was a corn-fed, Scandinavian milk-maid, after all) was frequently her undoing when it came time to squeeze into period costumes for things like Saratoga Trunk and Gaslight. She could play at being vixens, but her adoring public knew better. This was setting Bergman up for a big fall, especially since her marriage had long been in name only. A could-be affair with Gary Cooper was not remarked upon at the time, but considering they did two pictures in succession together, and being this was Gary Cooper, can one imagine a consummation not taking place? Bergman’s happiest collaboration, like a lot of other people’s, was with Alfred Hitchcock. I looked at Spellbound and Under Capricorn again before writing this. It’s true ... Hitchcock’s weakest is better than anybody else’s best. There’s little mystery to how Spellbound triumphed at ticket windows. Psychology was an exotic hot button in 1945, what with sexual underpinnings and the fact analysis had been tried on shell-shocked combatants. What could be more topical that year? Small wonder that Hitchcock became infatuated with Bergman. 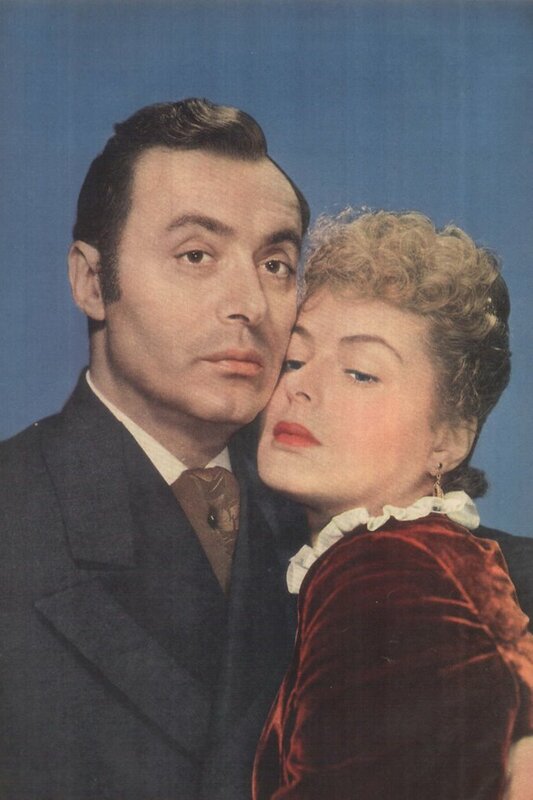 It occurs to me that if you stripped her of Casablanca and Notorious, you might have --- Vera Zorina? For all good fortune in landing those two, there was also Adam Had Four Sons, A Rage In Heaven, Saratoga Trunk (though I like that one), Arch Of Triumph, etc. 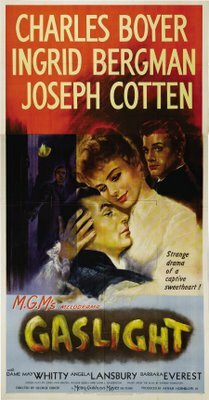 These haven’t traveled well into the new century, while the scandal that enveloped Bergman in 1949 has survived as potent drama and cautionary fable for all who imagine stardom to be a stable, if not permanent, thing. More about that in tomorrow’s Part Two. 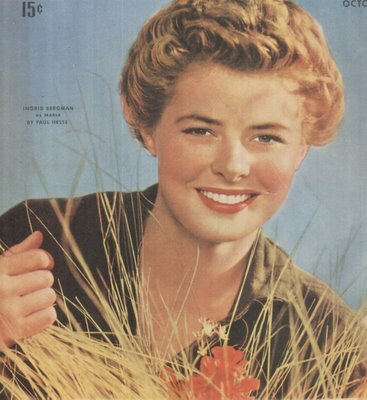 I love classic Hollywood and current gossip (what can I say, I'm a product of my era) and it's so refreshing to see these beautiful pictures of Ingrid Bergman. She looked so healthy and so beautiful in them, unlike the twigs that are running around "Hollywood" today. Great website! I love coming here and seeing all the old promo ads and rare pictures. Keep up the excellent work!